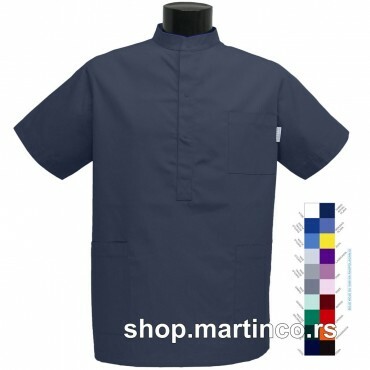 Men's blouse with a row of large black snaps with the Russian collar and a pocket on the left sleeve and breast pocket. 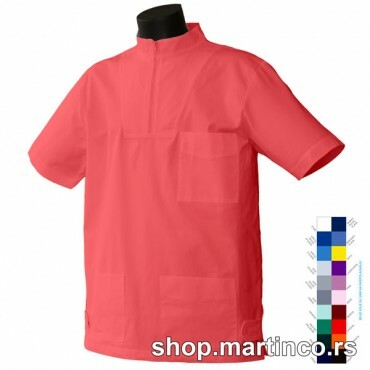 Blouse on a deeper switch with the neckline with collar. 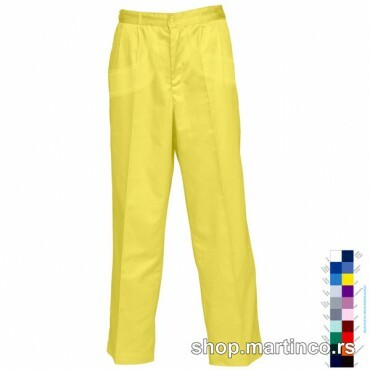 Two pockets down and one up. 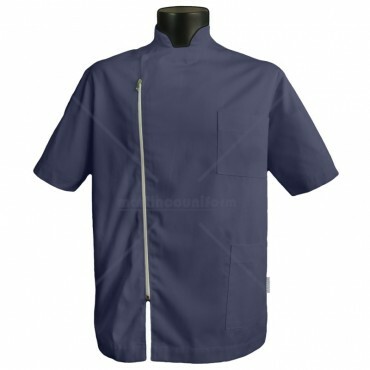 Man's scrub top with long zipper closure, russian collar and two pockets one on the chest and one down left. 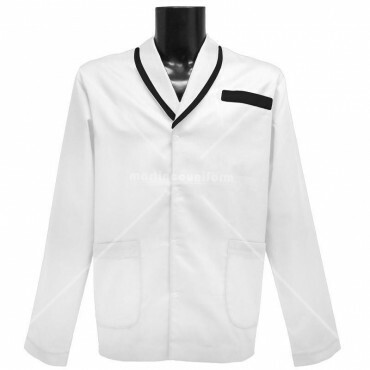 Blouse with Lapel collar whit rubber band on hips. 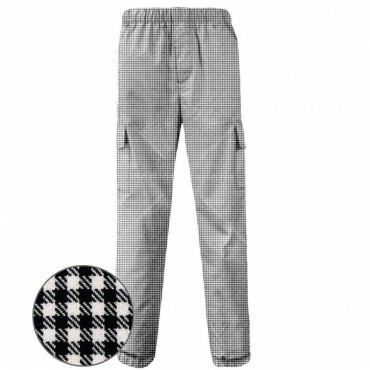 Two pockets down and two up. 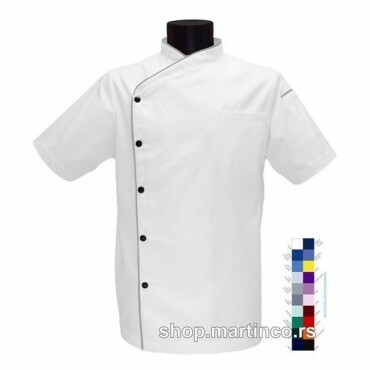 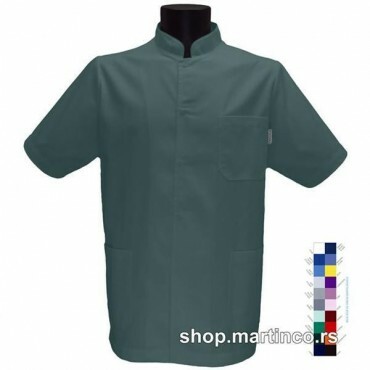 Men's scrub top with snap buttons, russian collar and one pocket on the top left side and two on bottom. 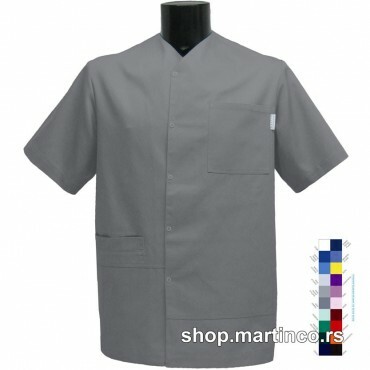 Men's blouse with folded V-neck and two pockets at the bottom. 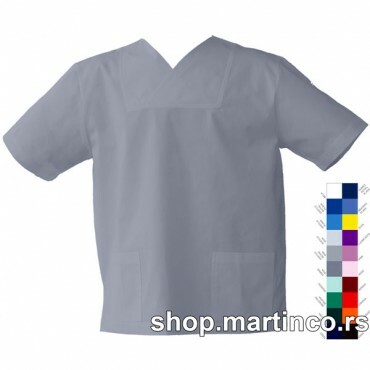 V-neck blouse with a thick strap around neck, 3 pockets and cuts on the side of the blouse. 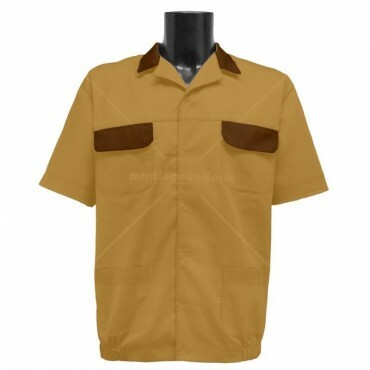 Men's blouse with short zipper on the chest and one pocket on the leftside of the chest and two at the bottom. 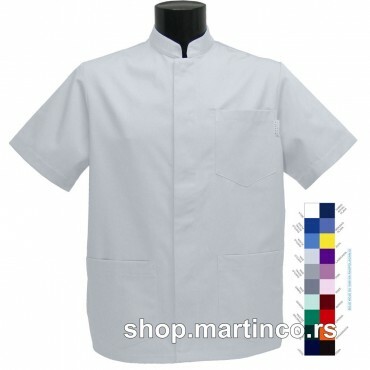 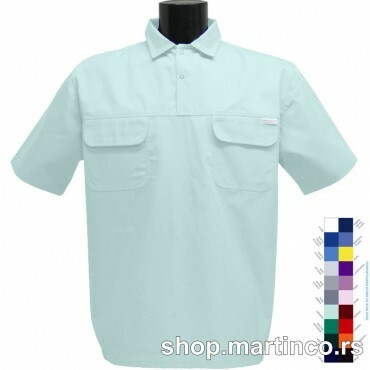 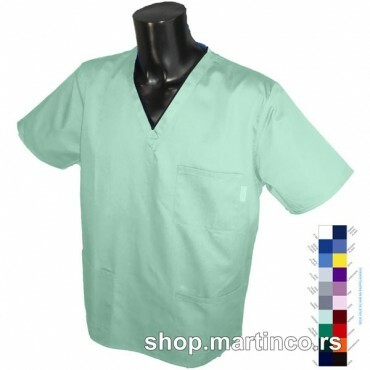 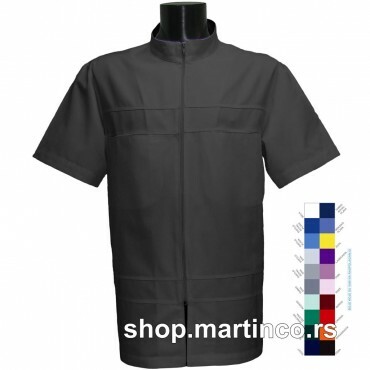 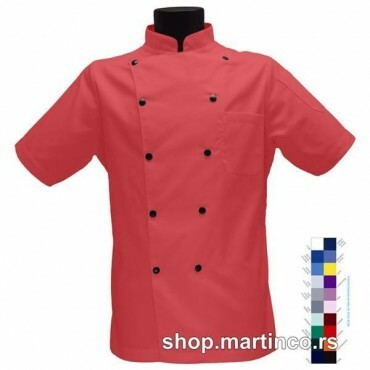 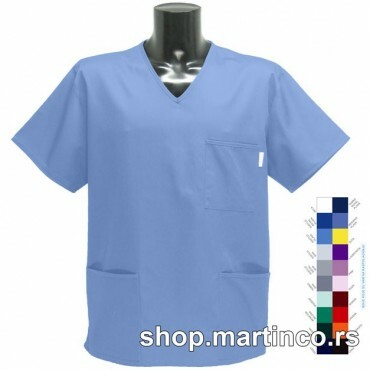 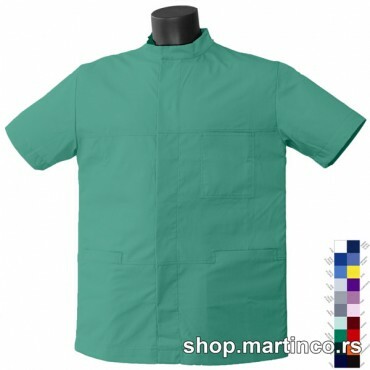 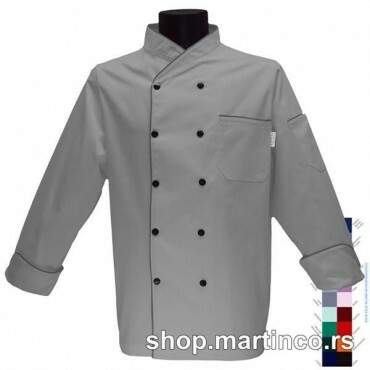 Man's scrub top with long zipper closure, russian collar and two pockets on the chest. 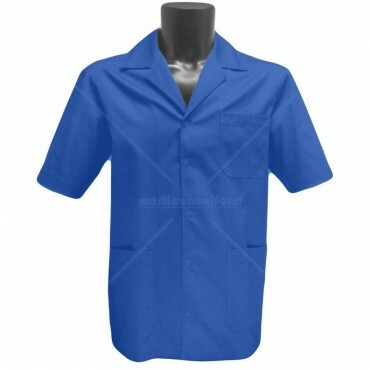 Men's scrub top with snap buttons, Lapel collar and one pocket on the top left side and two on bottom. 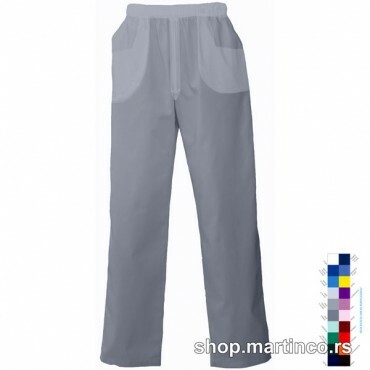 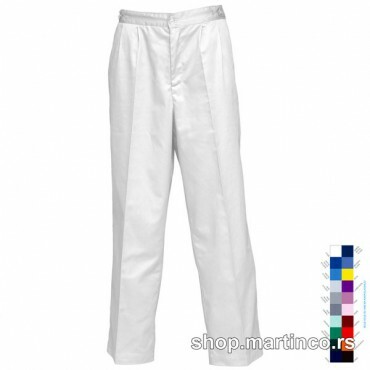 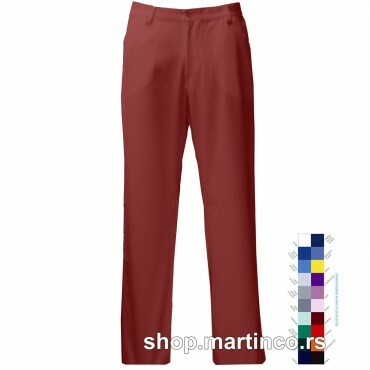 Mens's scrub pants with rubber band, zipper,two front pockets 2 pokets on thies and rubber band on the end of socks.